Knitted trousers by SOLO PER ME in fashionable mottled look! 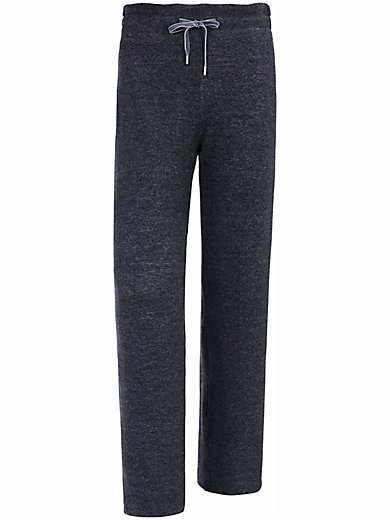 Full-length trousers with casual straight leg and elasticated waistband with velvet ribbon and silver-coloured stoppers. The anthracite-mélange version is made of 82% viscose, 14% polyester, 4% elastane and the navy-mélange version is made of 80% viscose, 17% polyester, 3% elastane. The trousers are machine washable.